The 2016–17 Ligue 1 season was the 79th season since its establishment. Paris Saint-Germain were the defending champions. The fixtures were announced on 1 June 2016. The season began on 12 August 2016 and ended on 20 May 2017. On 17 May 2017, Monaco secured the title after 37 matches, their first since the 1999–2000 season and the first under the Ligue 1 name. 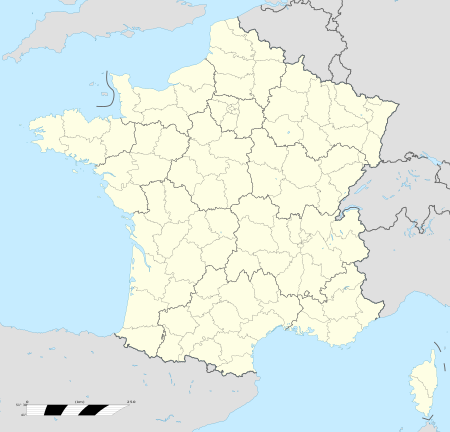 There are 20 clubs in the league, with three promoted teams from Ligue 2 replacing the three teams that were relegated from Ligue 1 following the 2015–16 season. All clubs that secured Ligue 1 status for the season were subject to approval by the DNCG before becoming eligible to participate. Rules for classification: 1) Points; 2) Goal difference; 3) Goals scored; 4) Head-to-head goal difference; 5) Fairplay ranking. ^ a b Since the winners of the 2016–17 Coupe de France and the 2016–17 Coupe de la Ligue, Paris Saint-Germain, qualified for European competition based on league position, the spot awarded to the Coupe de France winners (Europa League group stage) was passed to the fourth-placed team and the spot awarded to the Coupe de la Ligue winners (Europa League third qualifying round) was passed to the sixth-placed team. The fifth-placed team received the spot in Europa League third qualifying round originally designated to the fourth-placed team. ^ After being relegated to Ligue 2, Bastia was initially further relegated to National due to financial difficulties. On 10 August 2017, the FFF announced that Bastia was denied entry to National. The club therefore took the place of its reserve team in Championnat National 3. ^ Match awarded 3–0 to Lyon due to the match being abandoned at half-time, with no score, when Bastia fans stormed the pitch and attacked the Lyon players. The 2016–17 season saw the return of a relegation play-off between the 18th placed Ligue 1 team, Lorient, and the 3rd placed Ligue 2 team, Troyes, on a two-legged confrontation. Troyes won 2–1 on aggregate and were promoted to 2017–18 Ligue 1; Lorient were relegated to 2017–18 Ligue 2. These are the average attendances of the teams. ^ a b "French Ligue 1 Statistics – LFP". lfp.fr. Retrieved 21 December 2016. ^ a b c d "French Ligue 1 2016-2017 Longest Sequences Table - Statto.com". statto.com. Retrieved 21 December 2016. ^ a b c d "French Ligue 1 Statistics – ESPN FC". espnfc.com. Retrieved 21 December 2016. ^ "The LFP has ratified the Ligue 1 calendar for season 2016–17 – check out the key dates!". www.ligue1.com. 1 June 2016. Retrieved 1 June 2016. ^ "Prince Albert II, boss Leonardo Jardim hail Monaco's Ligue 1 title". ESPN. 17 May 2017. Retrieved 18 May 2017. ^ "Monaco 2 St Etienne 0". BBC Sport. 17 May 2017. Retrieved 18 May 2017. ^ a b "2015–16 Ligue 1 Kits Overview – All 15–16 Ligue 1 Shirts". ^ "Nantes : Michel Der Zakarian a annoncé son départ en fin de saison". lequipe.fr. 24 April 2016. Retrieved 11 May 2016. ^ "René Girard, entraîneur du FC Nantes". fcnantes.com (in French). 11 May 2016. Retrieved 11 May 2016. ^ "Christian Gourcuff, nouvel entraîneur du Stade Rennais F.C. !". staderennais.com (in French). 17 May 2016. Retrieved 17 May 2016. ^ "Communiqué du club et de Claude Puel". ogcnice.com. 24 May 2016. Retrieved 24 May 2016. ^ "Favre nouvel entraîneur de l'OGC Nice". ogcnice.com (in French). 24 May 2016. Retrieved 24 May 2016. ^ a b "Accord trouvé entre Guingamp et Bordeaux pour la mutation de Jocelyn Gourvennec". L'Equipe.fr. 27 May 2016. Retrieved 27 May 2016. ^ "Antoine Kombouaré, nouvel entraîneur d'En Avant de Guingamp". eaguingamp.com. 30 May 2016. Retrieved 30 May 2016. ^ "Paris St-Germain: Laurent Blanc leaves position as manager". 27 June 2016 – via www.bbc.co.uk. ^ "Paris St-Germain: Former Sevilla boss Unai Emery appointed on two-year deal". 28 June 2016 – via www.bbc.co.uk. ^ a b "Marseille: Rudi Garcia named new coach of Ligue 1 club". 20 October 2016 – via www.bbc.co.uk. ^ "Bernard Casoni becomes new manager of struggling Ligue 1 side Lorient". ESPN. 9 November 2016. ^ "Manager departs Ligue 1 strugglers Lille". Pulse Nigeria. 23 November 2016. ^ "Nantes name Sergio Conceicao as new coach after Rene Girard exit". ESPN. 8 December 2016. ^ "Ligue 1 : Montpellier évince son entraîneur, Frédéric Hantz". Le Monde. 30 January 2017. ^ "Lille name Franck Passi interim boss amid Marcelo Bielsa reports". ESPN. 15 February 2017. ^ "Bastia : François Ciccolini viré, Rui Almeida le remplace (officiel)" (in French). lequipe.fr. 27 February 2017. ^ "FIN D'UN LONG FEUILLETON, BASTIA EN NATIONAL 1 ET LE PARIS FC REPÊCHÉ EN L2" (in French). ^ "Le groupe de repreneurs jette l'éponge, Bastia évoluera en National 3" (in French). eurosport.fr. 10 August 2017. ^ "Ligue1.com – Bastia forfeit abandoned OL clash". Ligue 1. 5 May 2017. Retrieved 6 May 2017. ^ "Troyes vs. Lorient". Soccerway. 25 May 2017. Retrieved 28 May 2017. ^ "Lorient vs. Troyes". Soccerway. 28 May 2017. Retrieved 28 May 2017. ^ "French Ligue 1 Statistics – LFP". lfp.fr. Retrieved 9 April 2017. ^ "Statistical Leaders – 2016". FOX Sports. Retrieved 13 July 2017.